Anyone who has ever been exposed to the Tanya around the globe will be excited to learn that a new website has been launched today, where visitors can read and download the first twenty-four chapters of a new edition of Tanya. This groundbreaking edition incorporates all the explanations of the Rebbeim on this classical work. Today, the 10th of Cheshvan marks the 10th yahrtzeit of Mrs. Sarah (Charlotte) Rohr obm. 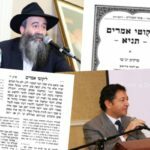 In commemoration of this date, 24 chapters of the HaTanya HaShalem edition of Tanya, prepared by the official publishing house of the Rebbe’s teachings “Vaad Hanochos Belahak”, that have been published to date have been uploaded and made available online. In honor of Yud-Tes Kislev, Rosh Hashanah of Chassidus, the site will be updated with the next two chapters of Tanya, Chapters 25 and 26. The new site has been launched under the auspices of Mr. Yekusiel Yehudah (George) and Mrs. Pesel Leah (Pamela) Rohr, the sponsors of Machon HaTanya HaShalem, which is dedicated to the memory of Mr. Shmuel (Sammy) Rohr obm. 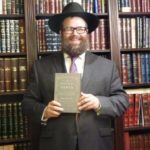 Rabbi Chaim Shaul Brook, director of Vaad Hanochos Belahak, says that the new edition of Tanya is already used and studied in many yeshivos throughout the world. 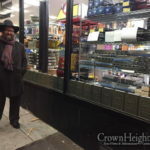 Numerous Roshei yeshivos, mashpi’im, and maggidei shiurim have extolled the magnificent work produced by the editors of HaTanya HaShalem, headed by Rabbi Menachem Mendel Kaplan, shliach of the Rebbe in Detroit, Michigan. Is there a way to get a hard copy of this sefer?